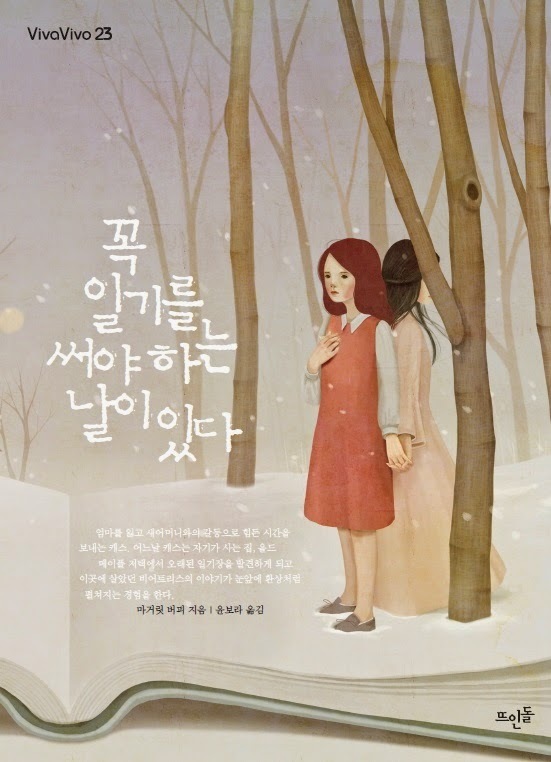 MARGARET BUFFIE'S WEBSITE/BLOG: My new Korean cover for WINTER SHADOWS! My new Korean cover for WINTER SHADOWS! The girls appear younger than my characters, but this is not uncommon on Asian youth covers. Even though Beatrice from the past (the "ghost") is of marrying age, my Canadian publisher explained to me that the cultural differences involve a different kind of cover in Korea. Other than that, I think the mood of this cover and the artwork is really lovely! I didn't notice at first that they are standing on Beatrice's journal. I love that!